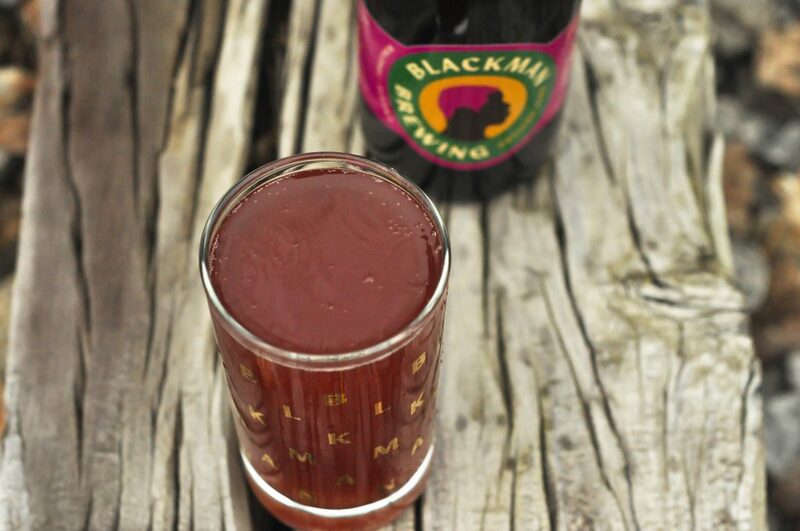 BlackMan Brewing | Blueberry Hostel Cereal – Uncap! Some brewers pull inspiration from current trends, while others seek to brew according to personal like and although neither is wrong, Barrett Tillman of BlackMan Brewing, pulls from the journey of life. Insert the Hostel Cereal, a timidly tart sour ale, which according to Tillman “began as a study on famine, it’s cause and how people survive.” During his travels through Africa and staying at hostels, breakfast consisted of porridge, made from grains and topped with whatever fruit was available. This was Tillman’s inspiration for the Hostel Cereal. Hostel Cereal is the base, think porridge without the fruit, with two variants (with fruit) – one of Cherry and another of Blueberry. Today we will talk through the Blueberry of the Hostel Cereal. Bottled in a beautiful and vibrantly labeled 375ML bottle, the Blueberry Hostel Cereal is firmly sealed with a yellow wax that communicates the exquisite beverage sealed inside. After removing the wax and pouring this timidly tart ale, you’ll get some mildly funk aromas and tart berries. It pours like a champagne. Very bubbly, effervescent and quick to release on the head. The color was a slightly murky red with hues of burgundy with some blueberry skin sediment resting at the bottom of the glass. The Hostel Cereal has some great puckering tartness on the backend. You really get that grape skin tannin here as well. Fruitiness is pretty minimal as it relates to a sweet fruit and the funkiness that I got in the aroma doesn’t reflect in the flavor, so don’t be fooled. Its straight up tart with a pleasant and dry finish.